Welcome! We’re so glad you’re joining us today! You’ll be thrilled at all the jams, jellies, veggie & salsa Canning Recipes you’ll find cooked up here! Enjoy! 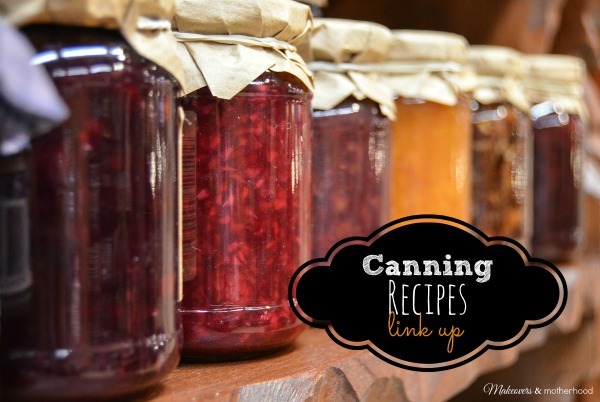 Link up your Canning Recipes below! Adding your link here gives Makeovers & Motherhood permission to use your link in a themed roundup or share on Facebook or Pinterest. Any shared link will link directly to your original post and use only one photo from the post. This increases your exposure and gives us great content to share!